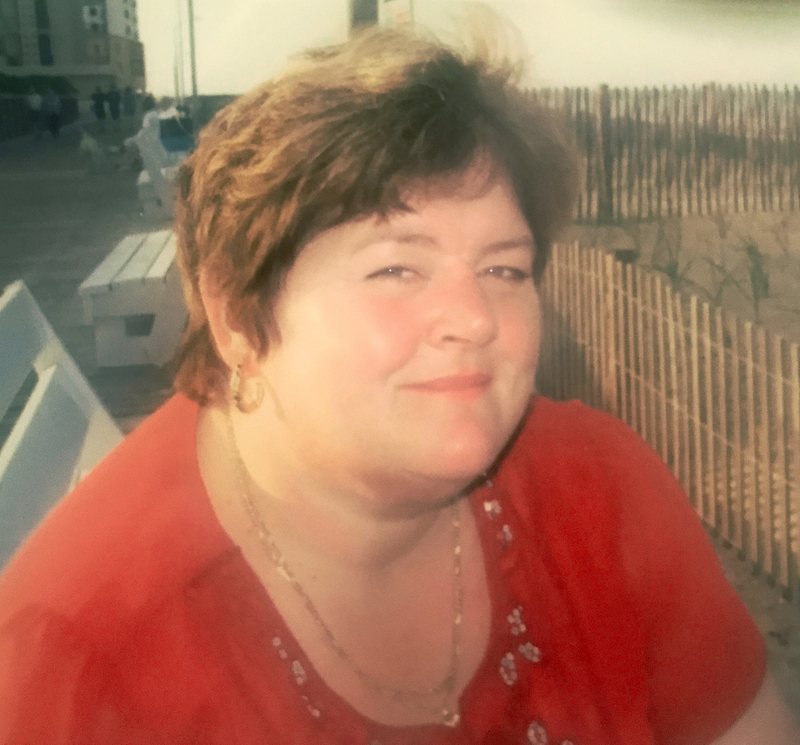 Patricia Alice McNulty, “Tricia”, of Dunmore passed away on June 1st after a long illness. Born in Scranton, daughter of the late Patrick J. and Alice Roche McNulty, she attended St. Mary’s School and was a proud Class of 1982 graduate of Dunmore High School, where her mother was a teacher for many years. 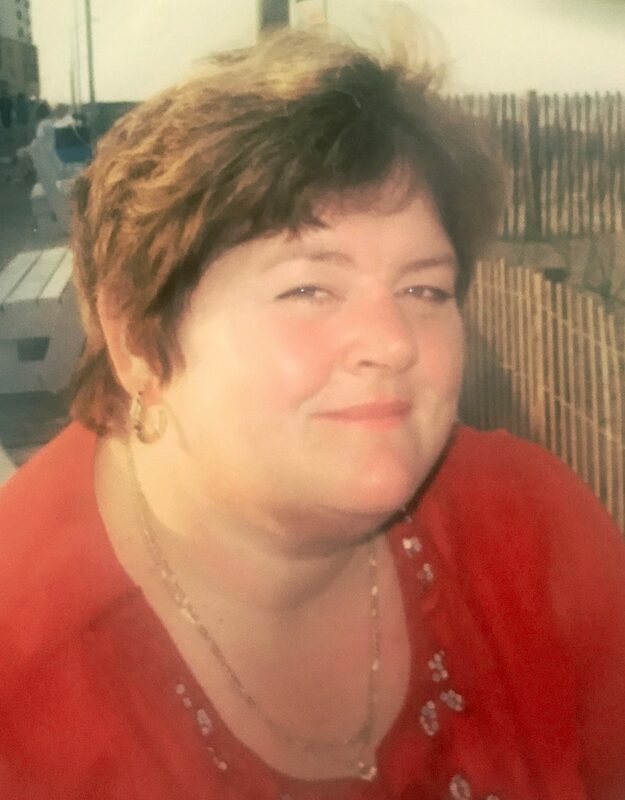 Tricia worked for decades caring for disabled adults in many capacities at Keystone Community Resources in Scranton, where she had fond memories of her coworkers. As a counsellor at the Carol Street group home, Tricia developed a special bond with her clients, treating them with kindness and respect. Tricia then went to the KidsPeace organization, where she continued her work with the developmentally disabled. She most recently worked as an administrative assistant to the warden of the Lackawanna County Jail, where she earned the respect and friendship of the two wardens she served. Special thanks go out from the family to the wonderful and caring doctors, nurses, counsellors, and other professionals who lovingly cared for Tricia over the last several years at the Kentfield Rehabilitation Hospital and other facilities in Marin County, California. Tricia lit up a room with her presence and her keen sense of humor. She was a favorite aunt to her 6 nieces and 5 nephews and never failed to make everyone smile with a song or a joke. She was a beloved daughter, sister, aunt, niece, cousin, and friend and will be missed by so many. Confronting her many medical challenges, she found the courage of the cowardly lion and finally followed the yellow brick road to her well-earned rest. She is survived by her sisters, Mrs. Erin Badala (Peter) of San Anselmo, California, Ms. Libby McNulty of Arlington, Virginia, and Ms. Laura McNulty Ayoud of Alexandria, Virginia, her brother Patrick J. McNulty (Mary Jo) of Bethlehem Pennsylvania, 11 nieces and nephews, and a great-niece and great-nephew, all of whom adored and were adored by her. Mass of Christian Burial will be celebrated at 9:30 a.m. on Friday June 15, 2018, at St. Mary of Mount Carmel Church 322 Chestnut St. Dunmore, and the family will receive visitors at the church before mass at 9:00 a.m. In lieu of flowers, friends are asked to make donations In Honor of Patricia McNulty to the Kentfield Hospital Foundation, 1125 Sir Francis Drake Blvd., Kentfield, CA 94904, and the National Kidney Foundation, Finance Department, 30 East 33rd St., New York, NY 10016 or www.kidney.org/donate. Arrangements have been entrusted to the Vanston and James Funeral Home, Scranton. To share a memory or leave the family an online condolence visit www.vanstonandjames.com. Fly high Trish! Your smile, laugh, kindness and sense of humor touched all of us. You will be missed, so happy we had the chance to reconnect. Thank you for being a great friend since grade school. RIP Trish, I will always love you and miss you. Trish you lit up a room with your smile and your laugh. You will be missed. Godspeed friend. In the arms of the angels and forever in the hearts of your family and friends. May you rest in the peace of our Lord, God Almighty. I know you are at peace and Tricia, you truly lived every minute of life with style, exuberance, love and humor. You made everyone round you happier in your presence. I’m sad today, for all the rest of us, that have to go on without you.